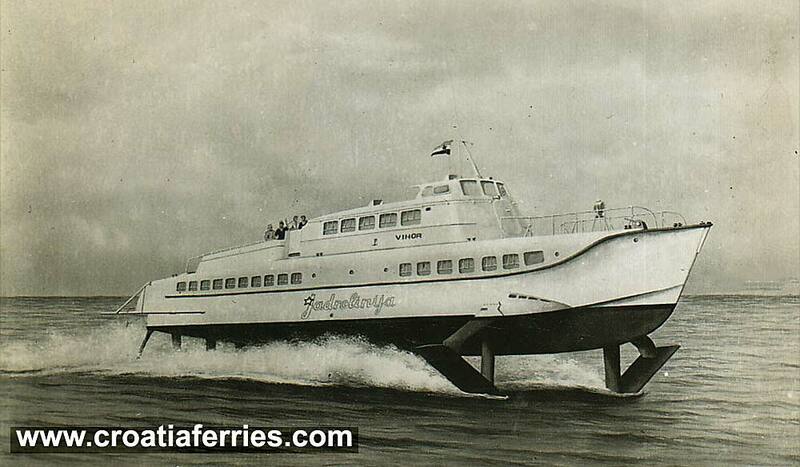 Jadrolinija’s hydrofoil ‘Vihor’ – photo from 1960s. ‘Vihor‘ was built for Jadrolinija in 1961 in Italy. It was sold to Palermo, Sicily in 1967.